Do you have a home or an office space located in Coral Gables, and you just can't get the temperature right? No worries, we at Chills Air Conditioning are here to help you out. If you are looking for the best Coral Gables air conditioning service, you came to the right place! Chills Air Conditioning offers air conditioning repair and replacement services, and we swiftly complete our work with care, using only high-end equipment and systems. Our experienced air conditioning technicians are here to make your home, or your office space feel just right using their proficient knowledge and skills in air conditioner installation, heating repair, ductwork, and air quality testing, so you know you're getting the best service possible. Our Coral Gables air conditioning branch works around the clock to take care of all our customers who are looking to replace their air conditioning with a new unit or give their old system a proper tune-up. Air conditioning experts at Chills are trained to repair, replace, clean and maximize your air conditioners potential with products from top-of-the-line brands such as Trane, Carrier, Rheem, American Standard, Goodman, and Mitsubishi.Give us a call and see why our company is among the best in the business and make sure to ask about our financing program! 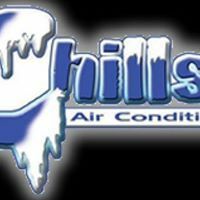 Chills Air Conditioning has been setting the standards in a number of services regarding selling and repairing both residential and commercial air conditioning systems.